We were glad to see The King's Speech win as many awards as it did at yesterday's Oscar ceremony. It is Hollywood recognition for a truly fine film. Two Book Passage employees split the betting pool. Brownlow, in case you are unaware, is a British-born author and film-maker. And with last night's program, he became the first film historian to be awarded an Oscar! It is a singular distinction. Last night, Brownlow was one of four individuals awarded an honorary Academy Award: the others were director Francis Ford Coppola, actor Eli Wallach, and French director Jean Luc Goddard (who was absent from last night's event). The three of them were announced and walked onto the stage of the Kodak Theater to rapturous applause. And that is when Brownlow's seminal book - a book every film lover should own - was shown on the screen. Speaking of the movies and books . . . . we have a three exceptional film related events coming up at Book Passage. 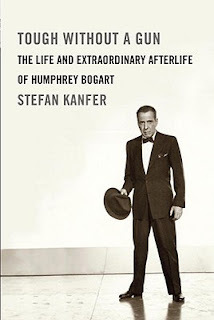 On Saturday, March 5th, acclaimed biographer Stefan Kanfer will be at our Corte Madera store to speak about Tough Without a Gun: The Life and Extraordinary Afterlife of Humphrey Bogart (Knopf, $26.95). In this just released book, Kanfer delivers the definitive portrait of one of the great movie icons of our time. This wide-reaching appraisal of the actor’s legacy – which early reviews have already called “compelling” and “entertaining” – shows how the star of The Maltese Falcon, Casablanca, The Big Sleep, and The African Queen became a cinematic and cultural legend.Kanfer’s books include Ball of Fire: The Tumultuous Life and Comic Art of Lucille Ball; Stardust Lost: The Triumph, Tragedy, and Mishugas of the Yiddish Theater in America; and Somebody: The Reckless Life and Remarkable Career of Marlon Brando. He was a writer and editor at Time magazine for more than twenty years and was also its first bylined film critic, a post he held between 1967 and 1972. He is as well the editor of an anthology of Groucho Marx’s comedy, The Essential Groucho. 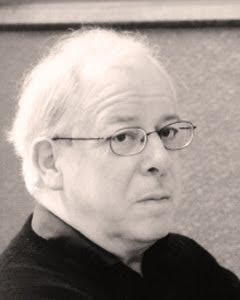 Kanfer is a Literary Lion of the New York Public Library and recipient of numerous writing awards. On Friday, March 11th, the British-born film critic David Thomson (long resident in San Francisco) will be discussing his New Biographical Dictionary of Film (Knopf, $40.00) at our store in Corte Madera. Notably, this classic work topped Sight & Sound magazine’s 2010 poll of international critics and writers as the best film book of all time. Now in its fifth edition, updated and expanded, and with more than 130 new entries — from Colin Firth and Scarlett Johansson to Jake Gyllenhaal and Lena Horne — this compulsively readable and highly opinionated guide to cinematic personalities is bigger and better than ever. The book now includes almost 1,500 entries, some of them just a pungent paragraph, some of them several thousand words long, and every one a gem. 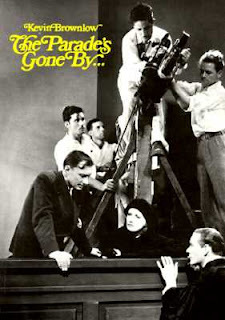 Thomson’s Biographical Dictionary of Film has been called “fiendishly seductive” (Greil Marcus, Rolling Stone), “the finest reference book ever written about movies” (Graham Fuller, Interview), and “not only an indispensable book about cinema, but one of the most absurdly ambitious literary achievements of our time” (Geoff Dyer, The Guardian). This Book Passage event with David Thomson is an event not to be missed, as Thomson is one of the most knowledgeable writers about the movies you're likely to encounter - as well as one of the great raconteurs of our time. And on Wednesday, May 18th, we'll be hosting actress and Stanford graduate Jennifer Grant, daughter of the legendary actor Cary Grant. Jennifer Grant will be on hand to discuss her new book, Good Stuff: A Reminiscence of My Father, Cary Grant (Knopf, $24.00) at our San Francisco store in the Ferry Building. This special event is set to take place at 6 pm. With the birth of his daughter, the sixty-three-year-old Cary Grant— still urbane, athletic, sublimely handsome, always self-effacing—retired from the screen to devote himself to his longed-for child. In Good Stuff, Jennifer Grant writes of her enchanted but very real life with her father, playing, laughing, dining, and dancing together through the thick and thin of Jennifer’s growing up; the years of his work, his travels, his friendships with “old Hollywood royalty” (the Sinatras, the Pecks, the Poitiers, et al.) and with just plain old royalty (the Rainiers) . . . until Grant’s death at the age of eighty-two. Here are letters, notes, cards, and drawings from father to daughter and from her to him . . . photographs taken at home and on their many adventures (including those in San Francisco) . . . as well as bits of conversation between them (Cary Grant kept a tape recorder going for most of their time together). 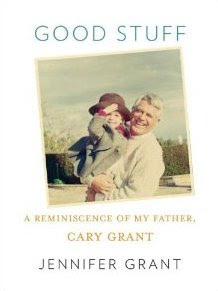 Good Stuff captures the magic of a father’s devotion (and "goofballness"), and reveals a daughter’s special odyssey of loving, and being loved, by a dad who was the one and only Cary Grant. If you love the movies, and if you love reading about the movies and talking about them with others who also love the movies, then don't miss any one of these three very special events. ** Please ignore the descriptive text associated with this title on our website. Despite these dim-witted observations, The Parade's Gone By is a monumental achievement and one of the most important and influential books in all of film history. And now Kevin Brownlow is an Academy Award winner lauded around the world.